I feel that lately I have been sharing very labor intensive projects with you all. Projects that take a lot of time and effort to complete. Today we are preparing for a huge snowstorm to hit later this afternoon in the DC area. Record Breaking! Historic! Oh, my. I won’t be out in my garage for at least a week and plan on working inside in my workroom. I don’t sand in my workroom as my daughter has asthma and I can’t have the dust in our home. 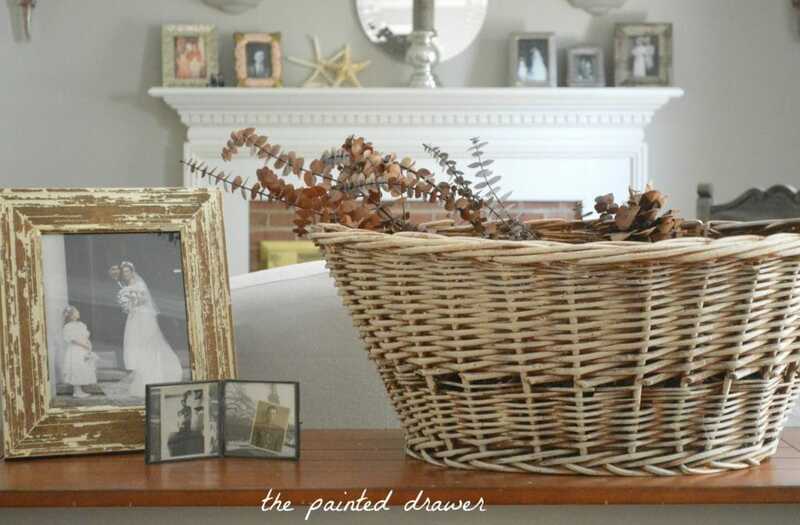 There are smaller projects that are simple to do indoors. Sometimes, the easy ones turn out the best! Here are a few of my easy paint projects! 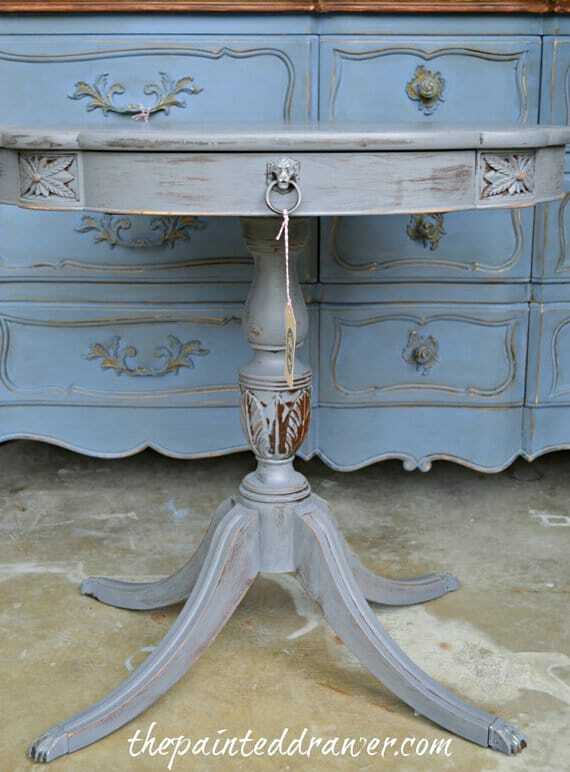 This little table in General Finishes Persian Blue is an example. One quick coat of paint and voila! 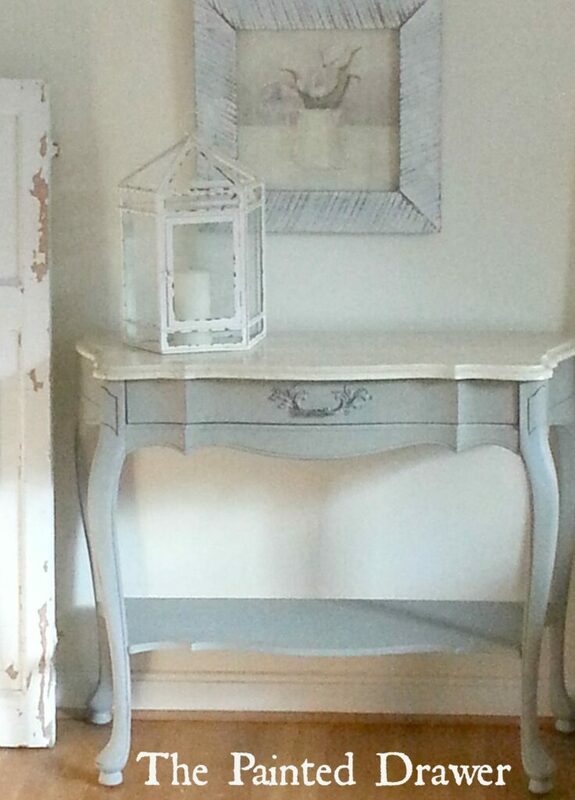 The little shabby chic table in Annie Sloan Old White. So simple and pretty. 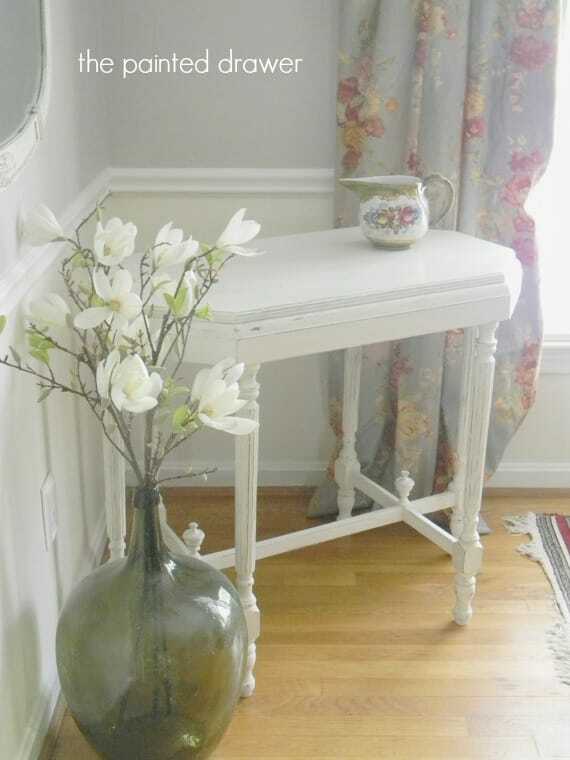 A little drum table in General Finishes Driftwood is divine. Drum tables are the easiest makeovers around! See you later for the Fab Friday Link Party! I have so many “smalls” in my garage. Thanks for the ideas. I’ll take the weekend to work on some. Good luck weathering the storm. We used to get those here in Minnesota but not often any more. Thanks, Cathy and best of luck with your projects 🙂 I love a good, easy transformation with paint! 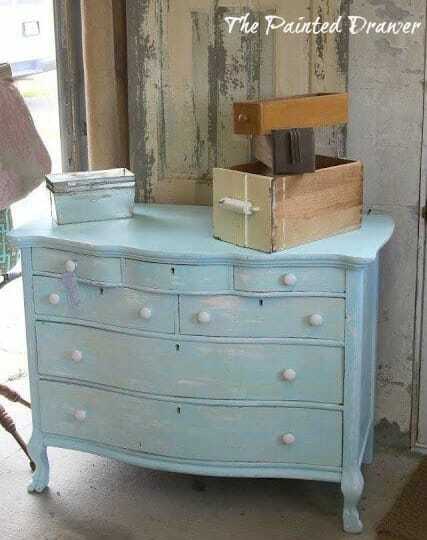 You find the most amazing pieces of furniture to paint and they look fantastic. Pretty selection of blue pieces! Stay warm and safe!!! All those pieces are so lovely, and so you! I just love your style. I was planning a trip into our ‘mountains’ (we Australians like to exaggerate in the absence of any real mountains) today, but it’s deluging and foggy, so maybe I could paint! (How I’ll get anything dry though….?). You’ve said that you can’t sand in the house and gave the piece, ‘one quick coat’. How does that work? 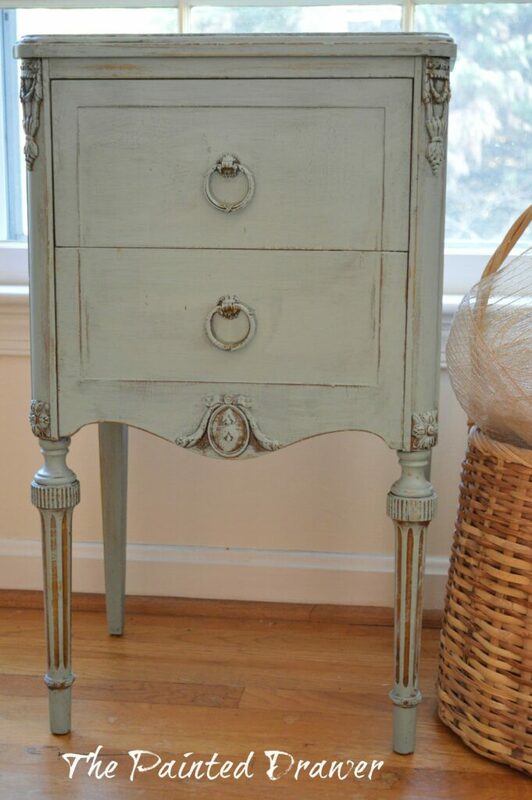 Do you not sand that piece at all, before or after painting? Does it feel smooth enough if you don’t do that? Also, i’m surprised the coat, being light in colour, actually covers so well. I’m not doubting your honesty!! Just very interested in how you do this. Also! Totally unrelated to painting…. your curtain fabric is so beautiful! Would you be able to tell me what it is, please? I just LOVE it! Hi Liz, I really wish that I could see Australia and hope to visit in the future! I didn’t sand the little table at all. Just applied on quick coat of the GF milk paint which is why you can see it is a thin coat. The milk paint leaves quite a smooth finish! The fabric on my curtains is a great story! They were about $3.00 a panel at my local thrift store. Great score that day! Cheers!